The Food sector is becoming the most stable in crisis time. Food trucks and Food markets are popping up everywhere around Europe from Cologne to Madrid. In the Spanish the Madreat Festival once a month has grown from around 15 vintage trucks selling food to about 70. A business of used trucks converted into driving vintage restaurants has become a big business and has created a couple of thousand jobs in the big cities. But not only that old VW and Mercedes trucks suddenly find a use again, also squares and places or old buildings suddenly convert into Food paradises. France and Spain, where people spend a lot for food, are the biggest markets, but also in the UK and Germany the Open-Air-Food-Events are trendy. Of the over 80 food markets in Paris, the majority are outdoor events, set up certain days of the week on neighborhood streets and charming central plazas under brightly covered canvas covers. While the open-air markets offer a more typical Paris market experience, the remaining covered markets are often home to exciting specialty and regional products as well as a growing number of stands that embrace the city’s nascent food movements. In addition to the interesting array of products you’ll find at covered markets, these spaces also offer the benefit of extended hours. While outdoor markets are usually only open 2-3 times a week and only in the morning, covered markets are often open 5 days a week and not only in the morning, but in the late afternoon as well. Increasingly, these vendors have become early adopters of Paris food trends– from freshly squeezed juices to craft beer outposts. You’ll find inspired bakers and butchers, fishmongers, and cheese sellers dedicated to showcasing the highest quality products. Next to locals favorite Marché d’Aligre, Marché couvert de Beauvau completes a market trifecta in the 12th arrondissement. Along with the outdoor Aligre market, and the amazing specialty cheese, chocolate, and foreign food shops, the covered Marché Beauvau rounds out this epic food shopping mecca. The architecture of the market– which was rebuilt in 1843 after the original structure was destroyed during the revolution– is impressive on its own. Built by French architect Marc-Gabriel Jolivet, the rooftop is made to ressemble an overturned wooden boat. 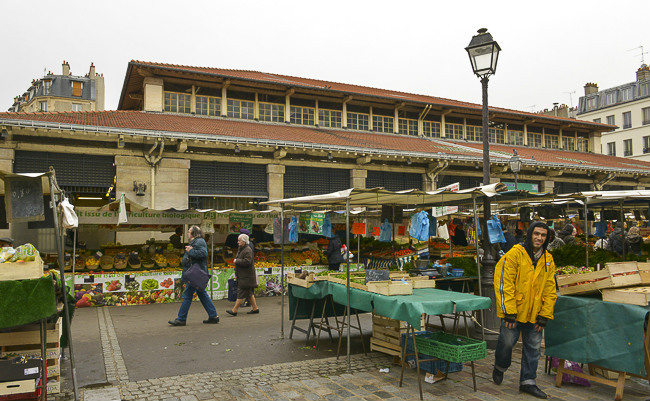 Once a hay market, now the Marché couvert de Beauvau is dedicated entirely to food. You want to set up a stand or a truck? try to find a good team and pay well, because to work in these Food markets or Festivals is very tough work, especially if you are successful with your product.